He's participated in some 100 films including Rambo II with Sylvester Stallone and Wyatt Earp with Kevin Costner. The Gambler miniseries with Kenny Rogers. His favorite credits include westerns such as Hard Ground with Burt Reynolds and the re-make of Gentle Ben, both on the Hallmark channel. Mr. Kove stars in and co-produced Bare Knuckles, an independent feature that released in 2010, and cameos in George Gallo's Middlemen with Luke Wilson. He is a former board member of the Met Theater and has directed and performed at Author Services, Inc. (ASI) in three western shows. He also starred in the Emmy-winning TV series Cagney and Lacey for six years as Detective Victor Isbecki. 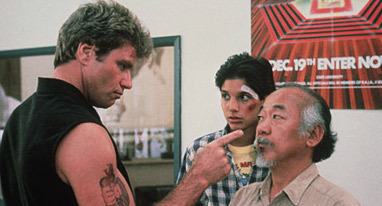 Born in Brooklyn, New York, Martin Kove has over 3 decades of film and TV work. 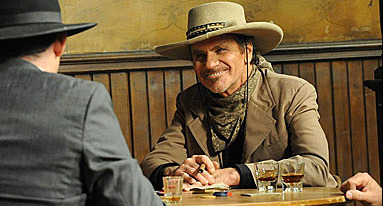 His television episodic credits include appearances on Walker: Texas Ranger, Kung Fu, Chips, The Rockford Files, The Streets of San Francisco, and Murder, She Wrote, Charlie's Angels, Burke's Law, etc. His stage work includes appearances with the Lincoln Center Repertory Company, The Lama Theater Company, and CSC Repertory Company in New York; and the Burbage Theater, Will Greer Amphitheater, MET Theater (the founding member) and The Zephyr Theater in Los Angeles.